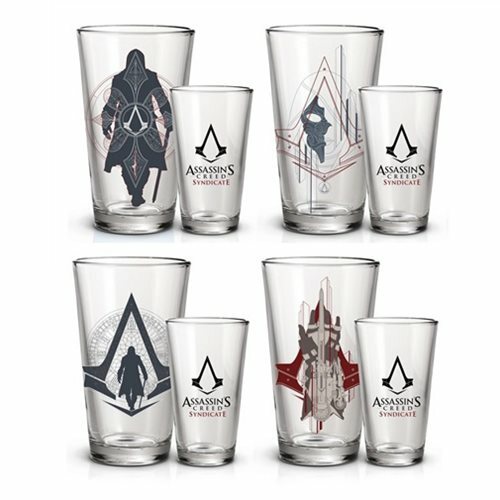 Shopping for Assassins Creed Pint Glasses? Lift your glass to the Assassins and add to your growing Assassin's Creed collection with this fantastic Assassin's Creed Syndicate Pint Glass 4-Pack featuring awesome images and the Assassin's Creed Syndicate video game logo. Not dishwasher safe. Do not microwave. Ages 14 and up.